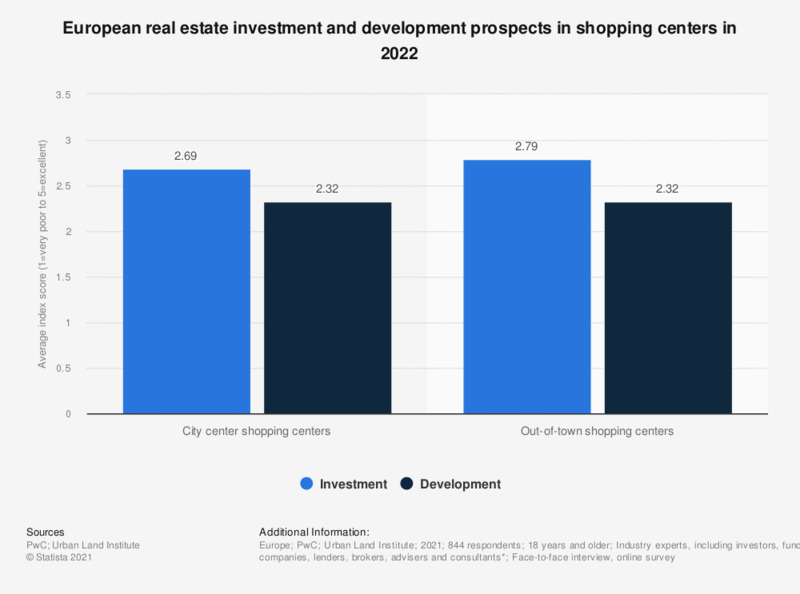 This statistic shows the prospects of investment and development in the shopping center real estate market in Europe in 2019, by location. Development prospects of city center shopping centers (2.78) scored better in Europe in 2019 according to industry experts as compared to out-of-town shopping centers (2.45). Shopping centers in general did not fair well in terms of investment or development across Europe.